Jeremy Shu-How Lin is an American NBA player. He has resurfaced as a media headliner over the past few weeks, as he has been traded from the Houston Rockets to the Los Angeles Lakers. Lin is one of the few Asian American players in NBA history and the first of Taiwanese descent. He has become so popular that the term “Linsanity” has been coined for the media and sports frenzy he has created. What Jeremy had to endure to overcome racial profiling as an Asian in a sport mostly dominated by African Americans may be a lesson for business owners who look at their markets with a preconceived assessment of their customers. Jeremy was born in Los Angeles and raised in the San Francisco Bay area. He attended Palo Alto High School and his team upset nationally ranked Mater Dei 51-47 for the California State Championship. He was named All State and Northern California Player of the Year. However, he had no college scholarship offers. Many college recruiters typically make a judgement on a potential player within five minutes, basing their assessment of one’s athletic prowess; speed and jumping ability, and dare I say, for basketball, skin color. Lin eventually opted for a guaranteed spot on the Harvard basketball team. Ivy League schools do not offer scholarships. Jeremy was remembered as the “physically weakest guy on the team.” By his senior year however, he was voted All Ivy First Team. He graduated from Harvard with a 3.1 GPA in Economics. Yes, he was good at Math, but he could also play basketball! The rest is incredible history. Lin became “the most popular Knick in the last decade” and a national sensation. His exploits as a player created fan frenzy and the genesis of “Linsanity.” Jeremy had not only arrived ion the scene. He exploded! Racial profiling exists in societies, business, and sports. In Jeremy’s basketball life, it created a barrier that almost crushed his professional career. In your business, it can severely limit your growth. Despite the diverse culture we live in and the training many business and media members have gone through, the insensitive comments about Lin have been just incredibly unfair. On February 10, 2012, in the middle of Lin’s career game against the Lakers, Fox Sports columnist Jason Whitlock posted on Twitter: “Some lucky lady in NYC is gonna feel a couple of inches of pain tonight” in reference to Lin’s sexual prowess. 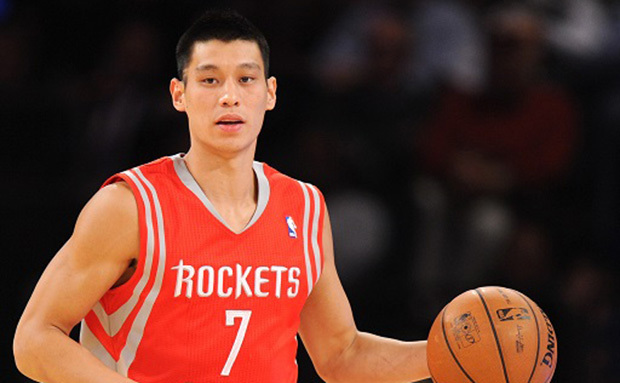 Lin has regularly heard from opposing fans comments such as “Wonton scores”, “Open your eyes” and “Sweet and sour pork”. On one of his first visits for a game in San Francisco, one security guard commented “Sorry sir, there is no volleyball game here tonight.” In a 60 Minutes interview, Lin stated that it was his “gut feeling” that his ethnicity contributed to him not being drafted. Think of all the universities and profession basketball teams that missed the opportunity of “Linsanity” because of their perception of what a basketball player should look like. The leadership of the U.S. business world is typically male, Caucasian, and older. We all have assessments of our customers and potential customers. There are 100 million of these “New America” customers that don’t fit the typical profile. Here are three quick “how do I get started” to garner your share of these markets. Develop a relationship with a member of the multicultural customer segment you choose to target. Have an open mind; get rid of all stereotypes and racial profiles. Develop a simple strategy on how to capture additional revenue from these exploding markets. Finally, the one crucial mistake that the college recruiters and NBA scouts made when assessing Jeremy Lin’s potential was profiling and not spending enough time watching him play basketball.